In this part of the website are three documents. The first is “Campions Guide to Searches Made on a Purchase”, the second “Campions Search Alert” and the third “Groundsure Search Alerts”. It is worth looking at these three documents carefully whether or not you are instructing us because searches are a vital part of the conveyancing process. Local , mining (in former mining areas) and drainage are required when having a mortgage. The others are optional and you need to consider very carefully which ones you should have. When we carry out searches you will get a search alert for your property showing what specific searches you should have. Searches are specific to certain locations. For instance a Crossrail Search is only a concern when buying property in London areas affected by Crossrail. Similarly an HS2 search will only be relevant to areas that are affected by the projected High Speed Line between London, Birmingham and then Leeds and Manchester. We should also mention Crossrail 2. Crossrail itself (the “Elizabeth Line”) opens in 2018 and runs East West from Sheffield / Abbey Wood to Heathrow/Reading. 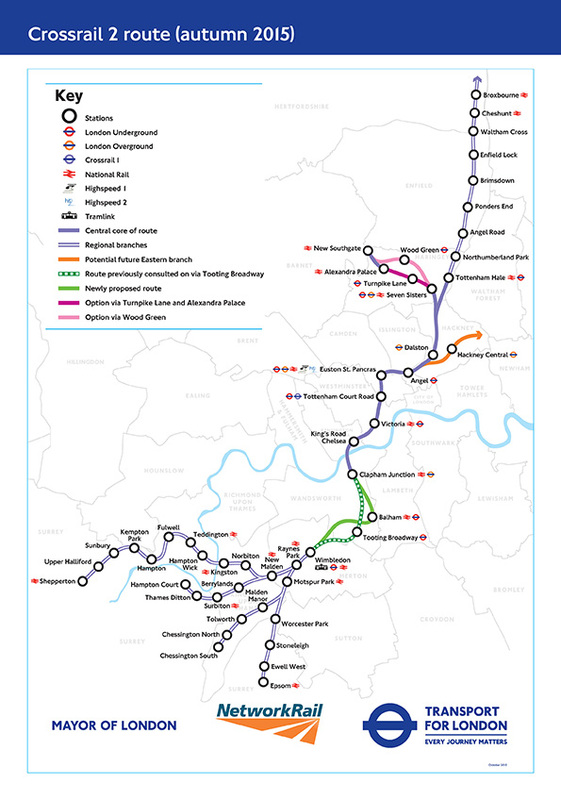 Crossrail 2 when built will run North South. A map is enclosed which shows the POSSIBLE ROUTE. THIS MUST NOT BE RELIED ON AS A DEFINITE ROUTE. A definite announcement should be made in 2019 and the route should open in the 2030’s. If you have any enquiries about this please contact us on progressions@campions.co.uk. For a payment of £60.00 including VAT upon instruction, you can rest assured that should your conveyancing transaction fall through, for whatever reason, you will not be charged any solicitors fees. This fee is payable per transaction and therefore if you had a sale and purchase with us you would need to pay £60.00 for each.